In today’s post I am reviewing a report presented at the European Congress on Obesity in Vienna that linked being overweight/obese to 12 different types of cancer, which cancers are linked to obesity and another report that linked bariatric surgery to a 61% decrease in one of the most common types of cancer in New Zealand. And of course these posts are not complete without recipes, so I a giving you recipes to 5 great smoothies. First time visiting our website? Would like more information on our weight loss program? I invite you to call and schedule your free weight loss consultation. Just call us at 215-821-7336 and we will be glad to schedule your free weight loss consultation. The World Cancer Research Fund has identified 12 different types of cancer that can be attributed to being overweight/obese. On Thursday they released their “Continuous Update Project “: Diet, Nutrition, Physical Activity and Cancer: A Global Perspective. This report was given at the European Congress on Obesity in Vienna. The report showed how being overweight/obese can be attributed to the development of multiple types of cancer. There are many reasons why being overweight/obese can be linked to cancer. Fat can cause a multitude of hormonal cancers such as endometrial cancer and breast cancer. Extra body weight can also cause a long-term state of inflammation and this can cause a spike in insulin which can cause various cancers to develop. Being overweight can also cause a person not to be physically active and this has also been shown to be linked to cancer development. Other research that was presented at the European Congress on obesity revealed that undergoing bariatric surgery was related to 61% decrease in developing malignant melanoma which is one of the most common types of cancer in New Zealand. These reports present us with a strong link to being overweight/obese and developing some type of cancer. Combine everything in a high-powered blender, blend and enjoy! Just combine everything in a high-powered blender, blend and enjoy! Place everything into a blender, blend and enjoy! If you, a friend, co-worker or loved one need help losing weight, I invite you to call and schedule your free weight loss consultation. 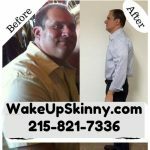 Just call us now at 215-821-7336 and we will be happy to schedule your free weight loss consultation. This entry was posted in diet doctors, Diet Doctors in Philadelphia, Medical Weight Loss, Medical Weight Loss in Philadelphia PA, Medical Weight Loss Philadelphia, Philadelphia Weight Loss Doctors, Weight Loss, weight loss philadelphia and tagged "Philadelphia Diet Doctor", medical weight loss in philadelphia, philadelphia medical weight loss center, philadelphia medical weight loss clinic, philadelphia weight loss doctor, philadlephia medical weight loss center, weight loss doctor in philadelphia, weight loss in philadelphia on May 29, 2018 by Dr. Michael Kenny.